This equipment can provide a stable test space for pre-heating, drying, changes about physics and chemistry testing . 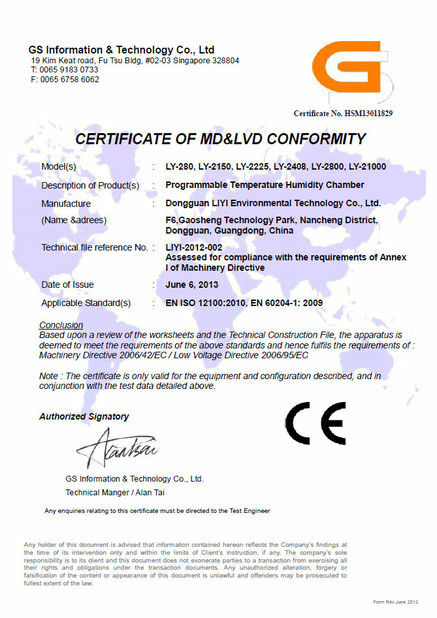 It supplies precision temperature controller with high stability of platinum resistance to temperature that makes temperature well-distribution. 3.electric hot air industrial circulation oven use Turbine fan. 5.Overtemperature protection, super load automatic power system. 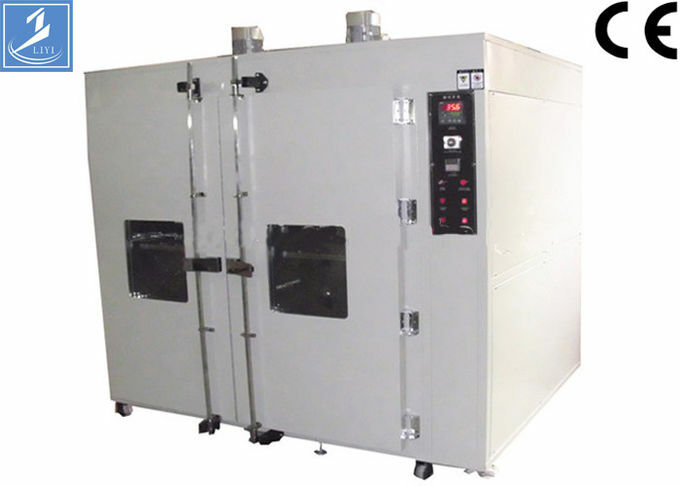 7. electric hot air industrial circulation oven Heating system: PID+S.S.R. 9.Timer: temperature to time, when the power failure alarm indication. 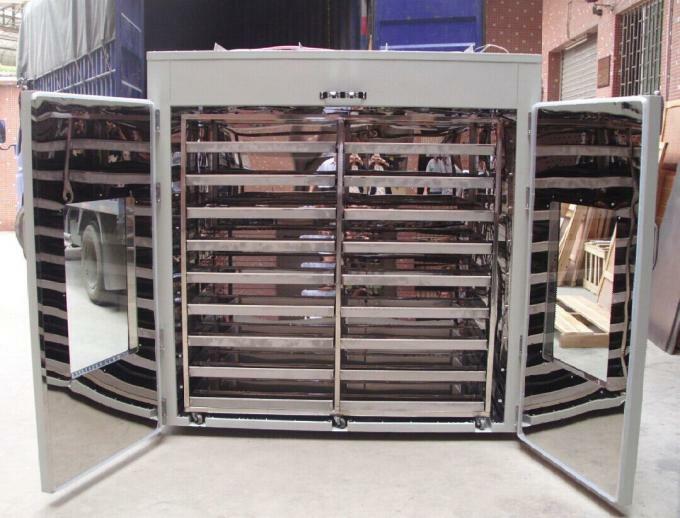 In a forced air drying oven, the forced, blower-assisted airflow design offers excellent temperature uniformity and fast recovery. A turbo blower and heavy-duty motor combine to direct air over the shelves and samples for even, constant drying, curing and baking. These units are especially ideal for glassware drying, oxyde carbolization, etc. 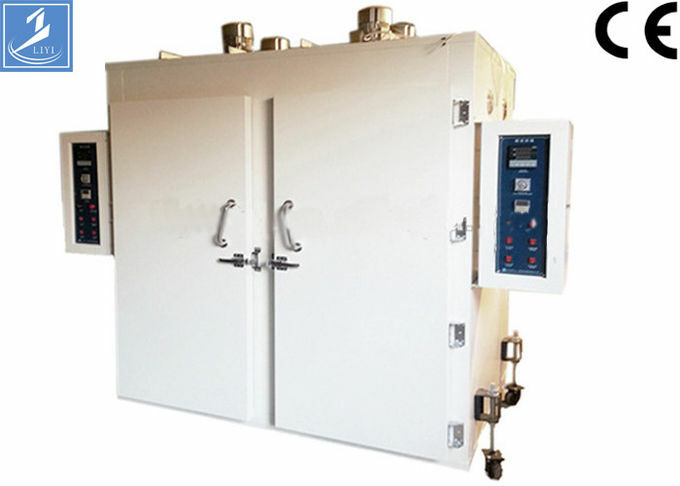 polished stainless steel interior, removable racks, overheat protection, temp calibration, timing function. All ovens are CE compliant. Outer size:W×H×D(CM) according to the fact size . Rate of work: temperature, the power is just 10% of its heating power. 1. PID programmable controller or touch screen PLC controller. 4. Inner cart or stainless stell plate and layers. If you face any problems in future during testing process we promise we will give you a reply within 48 hours and solution provide within 3 working days. We can offer operation video and English operation manual. We can provide video-con. 1. Considerate Service Different countries plugs, manually change the-voltage from 110V to 380V, insurance indicator. 12 months warranty. 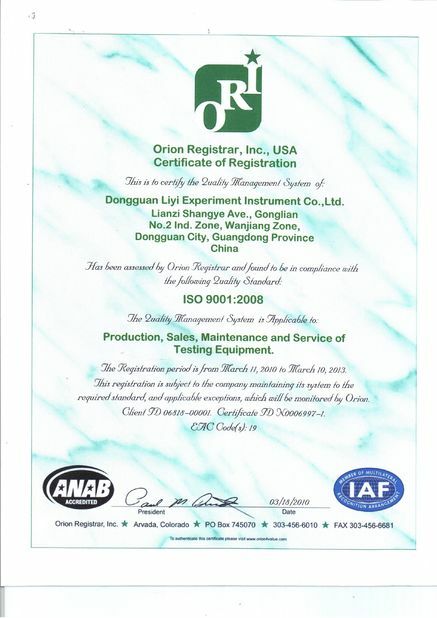 Besides, we can help you to repair your problem controller freely, even it's not from our factory. What you need to do is to send us the controller.